Giving YOU the smile you’ve always dreamed of! 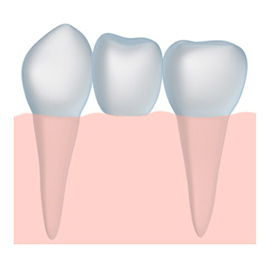 A porcelain tooth crown is a dental restoration that covers a damaged tooth or a dental implant. Not only do a dental crown & a dental bridge in Juno Beach protect and preserve natural teeth, they restore both function and beauty to your smile, particularly with a porcelain tooth crown. We create beautiful, metal-free, all porcelain tooth crown & dental bridges that look very aesthetic and natural in Juno Beach. We do not use porcelain-fused-to-metal dental crowns because they can look opaque, unnatural, and tend to develop a dark line at the gum line after a few years. A true cosmetic dentist will almost always place on a porcelain crown especially on the front teeth. 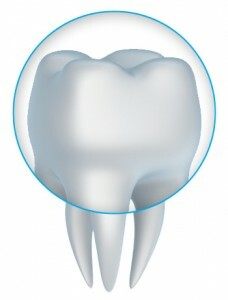 Dental crowns are also part of a dental bridge. A dental bridge can replace one or more missing teeth. It is anchored to the surrounding teeth by using dental crowns—one at each end—that are placed on top of existing teeth for stability. Juno Beach cosmetic dentist Dr. Brion Weinberg‘s extensive experience and craftsmanship with a porcelain tooth crown allows him to bond the porcelain crown to the tooth, thus giving it plenty of strength to function and a natural appearance indistinguishable from a natural tooth. Dr. Weinberg has also extensive experience and craftsmanship in creating dental bridges. If you are in the Palm Beach Gardens or Jupiter, Florida area and you have damaged teeth, dental crowns & dental bridges may be the solution. Please call our Juno Beach cosmetic dentistry office today or fill out the form on this page and we will contact you. We invite you to have a consultation with Jupiter cosmetic dentist Dr. Brion Weinberg to find out if porcelain tooth crown treatment and dental bridges are right for you in the Palm Beach Gardens & Jupiter area!